How can a Personal Training Help Me? Personal training is one-on-one instruction that incorporates goal-setting and health education. Following a fitness consultation, the trainer will design a challenging workout routine specifically designed for each individual’s needs. Your personal trainer is there to instruct you on proper lifting techniques, introduce you to exercises that target your specific goals and motivate you towards your full potential. R Studio offers a variety of personal training programs to best fit your needs. One on one training is designed to address your specific goals and body. Your coach will work with you to assess where you're at, where you'd like to go and how to get there. This is a great option for anyone who has specific concerns or wants to tailor their training to reach a particular goal. You can also use personal training to prepare for our group classes. By partnering with a group of friends or existing members, you can experience the same benefits of private training at a fraction of the cost. 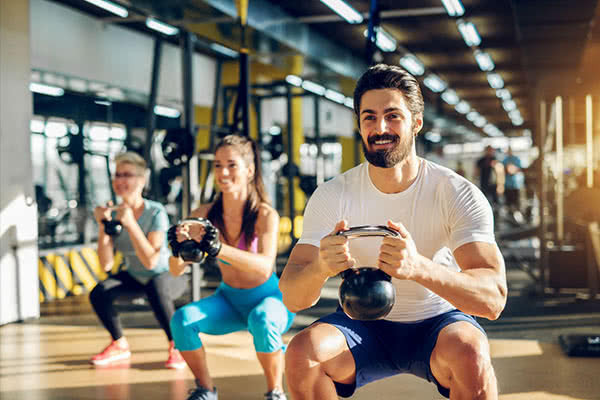 Whether you are looking to lose weight, gain strength, free yourself from physical limitations or chase adventure, our trainers will lead you to success. Check out our group schedule.